Looking for your next vacation destination? These blogs can help you decide on your ultimate trip! We scoured the internet for travel blogs and websites that can be your guide for your next trip as you spend away your lottery winnings. These bloggers have either extensively traveled the whole world, thoroughly explored a country, or have exciting twists to their travels, which can be the inspiration for your own trip. Check them out below and don’t be afraid to add as many destinations on your must-visit list! 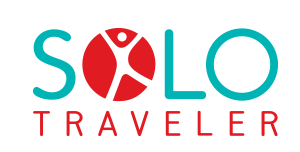 As you may have gathered from their name, Solo Traveler aims to help those who seek for an adventure on their own. They provide tips, suggested destination across six continents, choice food spots, special deals, and even trip planning resources like booking sites, transportation, accommodation, and activities to do for a specific city. Focusing on luxury hotels, resorts, and restaurants, A Luxury Travel Blog was created by Dr. Paul Johnson together with a team of around 600 writers and bloggers. They have compilations of best destinations, luxury travel gifts, celebrity vacations, camping spots, specific destinations for cities and countries, and many, many more. Since 2013, Kach and Jonathan Howe have been traveling the world- they have visited over 80 countries from all 7 continents, so they are pretty experienced when it comes to adventures. You can check out what to expect for each continent, complete with information on culture, transportation, and food. They also have suggested itineraries and staycations, lifestyle articles, and travel guides. Luxury accommodation, transport, and fashion- these are the pillars of Luxury Travel Diary. They feature only the most exquisite destinations, hotels, and brands for those who have money to burn. They also have hotel and airline reviews, so you can read more on their service and what to expect as a customer. Travel Dudes claims to be the first social travel platform, where contributors can share their experiences and new finds on their travels, so that readers can enjoy less popular yet recommended spots. Because the blog is community-based, it contains travel tips and videos for a vast number of locations all across the globe, even the less visited areas. Kimberly Leupo has been to 125 different countries with a thirst for new experiences, food, and culture. Her blog, Girl Lost in the World, logs the activities she participated in for each destination, as with some interesting facts about the city and country, mostly about its geographical and cultural history. Discover the weird and wonderful, the beautiful, bizarre, and delicious- this is Betsy and Jaime’s goal when it comes to their travels, and this is pretty evident in their blog. They explore less popular destinations and take snapshots of breathtaking sights, with a separate page altogether for stunning photos of where they’ve been. Originally aspiring to be a physicist, Anu Shankarn found herself more fascinated by the different destinations within India, and decided to follow her heart and wander into the country’s sights. If you’re interested going to this land full of rich heritage and exciting flavors, then her blog is a great place to discover spots and activities- from museums and temples to festivals and celebrations. She even has a step-by-step guide on how to bathe sheep based from their experience in Dharamsala! For those after a gastronomical adventure, Food Fun Travel can help you pin down the foodie vacation you’ve dreamed of. Founders Tommo and Megsy have been to 85 different countries on their quest for the food worth taking a trip for, ranging from street snacks to high class restaurants. They aren’t restricted to food though, you can also find activities and other useful travel tidbits. Have you ever wanted to travel the world all while sailing in a boat? Meet Rich and Trish, a couple who decided to get on their houseboat named Gwen, and go where the wind takes them all. Their blog is all about their seaside adventures with their experiences from varying docks- their encounters with nature, extreme weather, and people of all colors and cultures. If the idea of living in a houseboat and sailing away gives you the thrills, On Gwen is a blog you should check out before going on your way. Piccolo Explorer is aimed for family travelers, specifically those who will bring children to the trip. They have travel tips to make the experience enjoyable both for kids and adults. The destinations listed on their blog are also family friendly, focusing on day trips, farms, museums and parks which will interest any age group- from the young to the young at heart. Another travel blog that focuses on family-friendly travel, Wanderlust With My Kids lists must try activities for the whole family, including a dedicated section for Disneyland travel tips and tricks. They even have a Disney cruise guide and their favorite activities on the trip, which can help you choose which to participate in given the numerous choices available. For a bucket list inspiration, Aryanne Padilha of It’s Boarding time shares her own dream destinations and documents her experience as she crosses them off her list one by one. You can get an insightful view on her travels with her detailed entries complete from arrival to departure, with special focus on food and relaxation. If you want places to go to in the UK that are recommended by a local, then you might want to check Sight Seeing Shoes. It has a list of great spots for food and events, mostly in North Wales, Scotland and Liverpool; there are many other entries for destinations in Europe and the US as well, and a handful of spots in Asia. 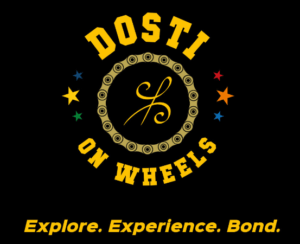 Dosti On Wheels takes the whole traveling experience up a notch by crossing 18 countries and 40 cities in 100 days, all via motorcycle. The goal of the trip is not to visit as many places as possible, but to immerse in the culture, connect with locals, and explore what each destination has to offer without haste- a good reference for those who are not restricted by scheduling limitations. Getting Lost follows the adventures of New Zealander couple James and Cat all around the country. They have recommendations on which regions you should check out, as well as top activities they suggest for each. Moreover, since they are traveling with their children, most of their adventures are kid-friendly, and includes some stories of their parenting journey. If you want to find a destination where you can fill your Instagram with breath-taking views and mouth-watering dishes, then Itchy Feet has got your back. This photo travel blog offers beautiful images of people, places, food, events, and other random things taken from all around the globe, contained in several categories like expedition, ice and storm, life, yoga, surfing, architecture, and many others. They also share the photography equipment used for their travels, for reference. What better way to spend your vacation than in the stunning and lively islands of the Caribbean? 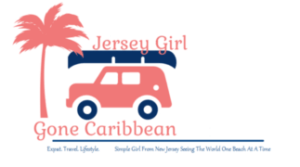 Jersey Girl Gone Caribbean is exactly what it is named- creator Annamarie Gaglione, a New Jersey girl with a thirst for adventure, moved to Dominican Republic to experience and blog about the warm and sunny life in the island. Aside from beaches, you can also find her experience on different luxury hotels, resorts, and other forms of accommodation in her blog. With your lottery winnings, you can afford to stay in a luxury hotel and resort and not even worry about your bill. What you do need to worry about, though, is that if the amenities and service that you’ll receive is worth the price. Olielo gives a detailed look into these destinations from arrival up to departure, including everything in between- food, scenery, service, facilities, and transportation. Make sure to check them out before choosing a place and burning your pockets for an exquisite stay. If you have a special connection with the deaf community, then Blank Canvas Voyage may fit with your interest. They have completely included the deaf community of the countries they have been into their blog, and have a lot of inspirational stories to share from the people they meet. You can find a meaningful vacation by immersing yourself with the deaf community, and Blank Canvas Voyage is a good resource to find more information about them before going on your own. Responsible traveling is something that many people have yet to try. Giselle and Cody are a vegan couple who travel the world while keeping Mother Nature in mind. Their blog, Mindful Wanderlust, talks about vegan restaurants, safaris, animal volunteer shelters, – basically, a full vegan travel experience. 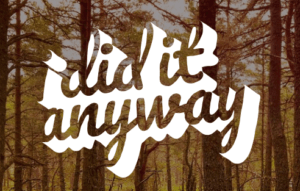 In fact, they won the Vegan Travel, the Best Conscious Travel Blog, and other awards through the years. You’d be surprised at how busier you’ll get once you have your millions of winnings, and you may only have enough time to squeeze in your travels during the weekend. Tiny Trips and Tips focuses on short-term travels, which make it a perfect resource for people who are too busy to go on month-long trips. You can check out activities that can be accomplished in a short time, so even if your trip runs only for a few days, you can still maximize and enjoy the experience. If you want to go on a gastronomical adventure, then you may want to check Girl Eat World for destination and even meal suggestions. The blog is mainly focused on food experiences from all over the world, and filled with photos from street eats to high end restaurants. You’ll also find recommended food spots and hangouts, so you can taste the best of what each location has to offer. Although running as a travel agency, Extreme Iceland has a great blog discussing the wonders of Iceland. It contains food spots, events, and unique experiences in the country. You can find legitimate Icelandic delicacies, beverages, and live as if you are a local on the land. Plus, you can directly inquire with their team for tours and trip arrangements.